They say we should celebrate life, not just festivals. Well, in a country like India, life is synonymous with festivals because there are more fiestas than you can count, and each of these mirrors our culture and traditions. Breaking the humdrum of daily routine, these festivals bring with them a wave of excitement and happiness. Interestingly, almost every big and small occasion in India calls for a celebration. Be it the arrival of spring, harvesting of crops or something else, you will never run of out reasons and seasons to celebrate. Experiencing the festive spirit of the country is akin to celebrating life, speckled with an ample dose of colors, music, dance, folk songs, food, and friends, all rolled into a wholesome package offering absolute gratification. Each festival in India has an essence and flavor of its own that you need to experience first-hand. We bring to you a hand-picked list of the most popular, vibrant and widely celebrated festivals of India that reflect the cultural beauty of this country. India’s spectrum of festivals is a diverse lot. Many such events are celebrated across the country, although there may be variations in the way they are observed or the legends associated with each. Let’s take a look at some of the most popular ones. Undoubtedly, Diwali or Deepavali is the most spectacular festival celebrated in the Indian subcontinent. Autumn heralds in this Hindu festival of lights that is celebrated across the length and breadth of the country. 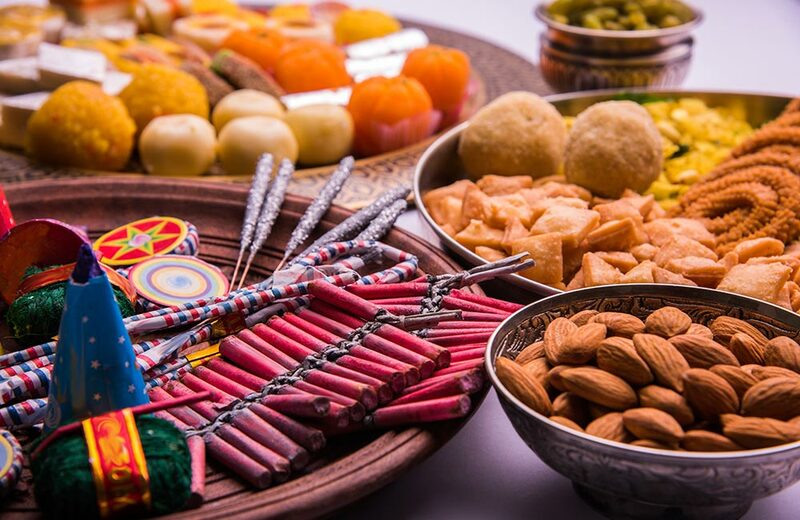 The celebrations are marked by people decorating their homes with candles, earthen lamps, and lights, bursting crackers, and exchanging gifts and sweets with friends and family. Since it is celebrated on a new moon night, these sparkling lamps and lights add a magical feel to the whole scenario. A festival that commemorates Lord Rama’s return with his wife after 14 years of exile and his triumph over Ravana, Diwali symbolizes the ultimate victory of good over evil. Want to know how the festival is celebrated in different parts of India? Read our blog on Diwali Celebrations to know more. You might also want to check out on some of the places to visit during Diwali. 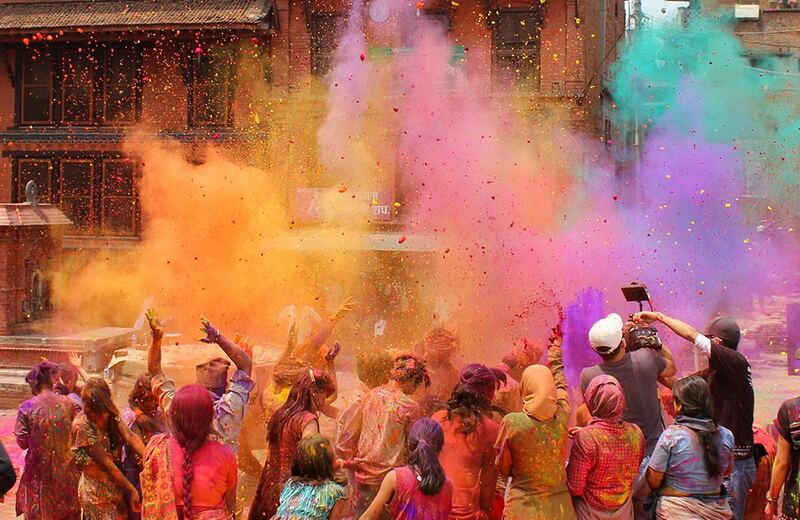 Holi is another noteworthy name in the list of festivals of India. Considered the festival of love and the festival of colors, it signifies the arrival of spring and the victory of good over evil. It is celebrated all over the country with a lot of enthusiasm and fervor. Typically, the celebrations start on the eve of the festival. Huge bonfires are lit (symbolizing the burning of the mythical demoness Holika), and people sing and dance around this crackling fire. On the day of the festival, they put dry and wet colors of various hues on each other. Playing with water guns and balloons filled with colored water, and drinking bang thandai (a desi cocktail made with Indian spices) are some of the key attractions of Holi. Navratri counts as one of the major Hindu festivals, and the celebrations continue for days on end. In Sanskrit, the term Navratri means nine nights. True to its name, the festival spans over nine days and nights. During Navratri, Goddess Shakti is worshipped in different forms. 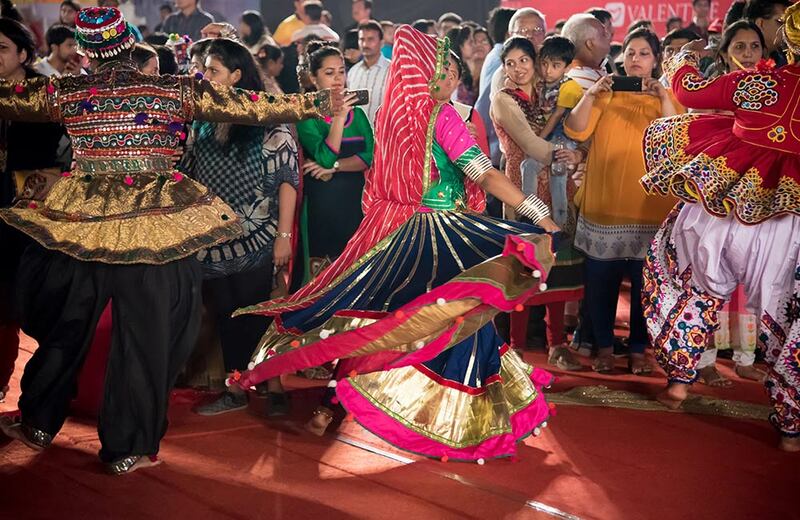 In North India, Navratri celebrations involve vibrant Dandiya Raas and Garba dances that are enjoyed by men, women, and children dressed in colorful traditional attire. A symbol of cultural identity for the Bengalis, Durga Puja is celebrated with much fanfare and gaiety for four days. One of the major festivals of India, it is particularly popular in West Bengal, Assam, Odisha, Tripura, Jharkhand, and Bihar. During Durga Puja, huge clay idols of the ten-armed Goddess Durga and her four children are worshipped in specially made mandaps. People dress up in new clothes and go pandal-hopping with family and friends. The festival culminates with the immersion of the idol of the goddess in water. 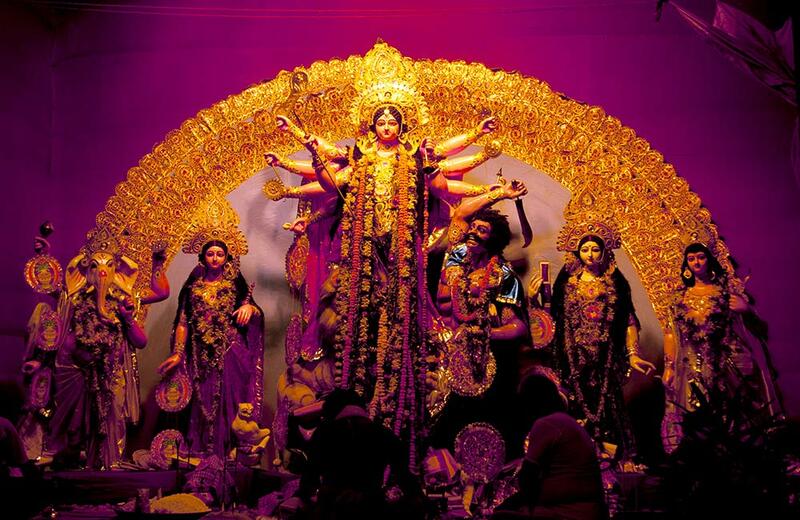 Read our blog on pandal hopping in Kolkata to know where the grandest Durga Puja celebrations take place in the city. Dussehra marks the end of Navratri as well as Durga Puja. A prominent name in the Indian festival calendar, it is also known as Vijayadashami. As is with most festivals, Dussehra is celebrated in different ways in different parts of the country. While in some states it is celebrated to commemorate the victory of Lord Rama over Ravana, others consider it Goddess Druga’s triumph over Mahishasura. The celebration of Dussehra is marked with enactments of Ramlila and burning of mammoth effigies of Ravana along with Kumbhkaran and Meghnad. Mysore in Karnataka is the best place to enjoy Dussehra in India. During the festival, Mysore Palace is illuminated with around one lakh bulbs, presenting a breath-taking sight. The huge procession carried out by decorated elephants on this occasion is also a spectacle worth witnessing. Janmashtami marks the birth of Lord Krishna, who is considered to be the eight avatar of Lord Vishnu. Celebrated across the country with much pomp and splendor, it tops the list of Hindu festivals. On this day, devotees worship Lord Krishna at their homes and in temples, and offer a variety of delicacies to please the deity. 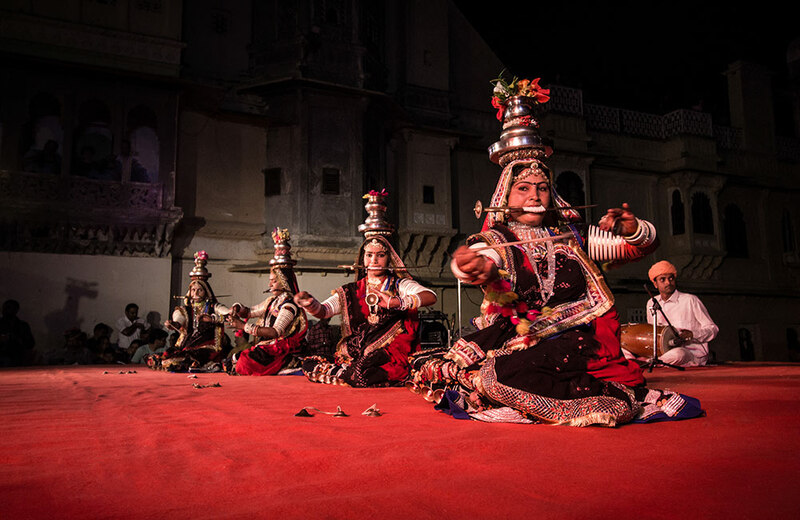 Mathura and Vrindavan, the two historical places in India related to Krishna’s birth and childhood, witness lavish celebrations marked with hymns and dances. 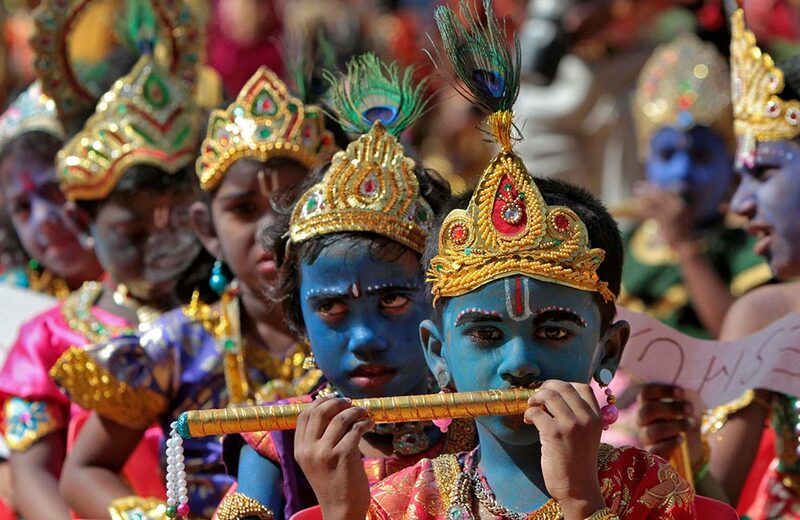 On this occasion, little children often dress up as Lord Krishna. Another important attraction of the festival is dioramas, narrating the story of the night of the virgin birth, complete with miniature mountains, a river signifying the Yamuna, and prison of Kansa where Devki was imprisoned. In Mumbai, people form gigantic human pyramids, several storeys high, and try to break an earthen pot filled with yogurt hanging above in an event known as Dahi Handi. Do you know that Mathura, believed to be the birthplace of Lord Krishna, is also a tourist place in the country? Check out the major attractions in Mathura. Among all festivals of India, Ganesh Chaturthi or Vinayaka Chaturthi holds a special significance for Hindus. 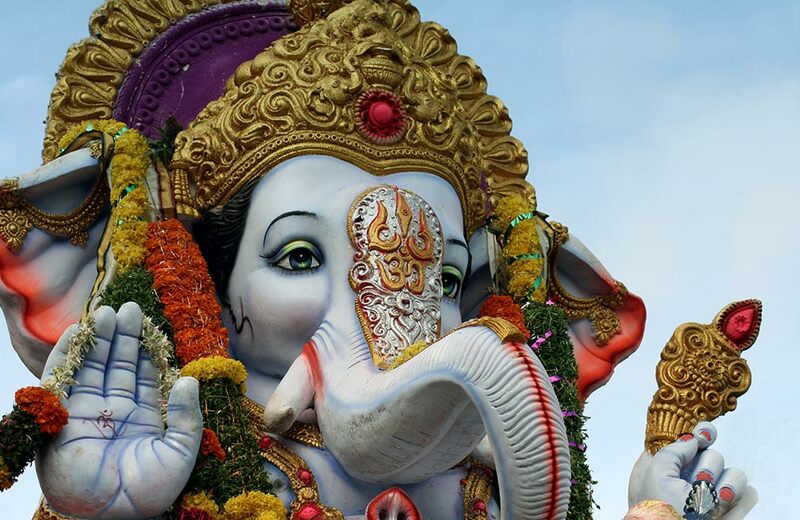 The festival commemorates the birth of the much-loved Hindu deity, Lord Ganesha. Colorful festivities spanning over ten days mark the celebrations. It starts with the installation of artistically crafted Ganesha idols in homes and public mandaps. People worship the deity with much fervor and gaiety. On the tenth day, the idol is immersed in water, which marks the end of the festivities. Ganesh Chaturthi is celebrated all over India, especially in the states of Maharashtra, Karnataka, Madhya Pradesh, Gujarat, Goa, and Chhattisgarh. Eid-ul-Fitr or simply Eid is among the major religious festivals of the Muslim community. It marks the end of Ramadan, which is the sacred month of fasting akin to the Christian Lent. The festival is celebrated on the day following the sighting of the crescent moon at night. 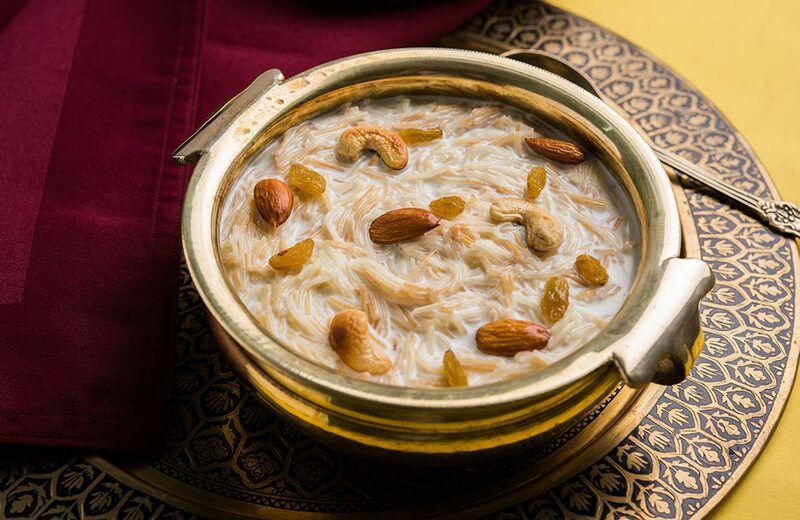 Devotees offer prayers at mosques, visit friends and relatives, and feast with their near and dear ones; sweet seviyan is perhaps the most famous symbol of Eid. Mosques and markets across the country are beautifully decorated on this occasion and several iconic markets in India sell special delicacies too. Christmas needs no introduction. It marks the birth of Jesus Christ and so, holds special significance for Christians. But like many other festivals in the country, it also holds appeal for the people of other religions. And since Christmas is followed by the New Year, there is a festive spirit in the air. Churches are lit up and bedecked in an attractive manner. 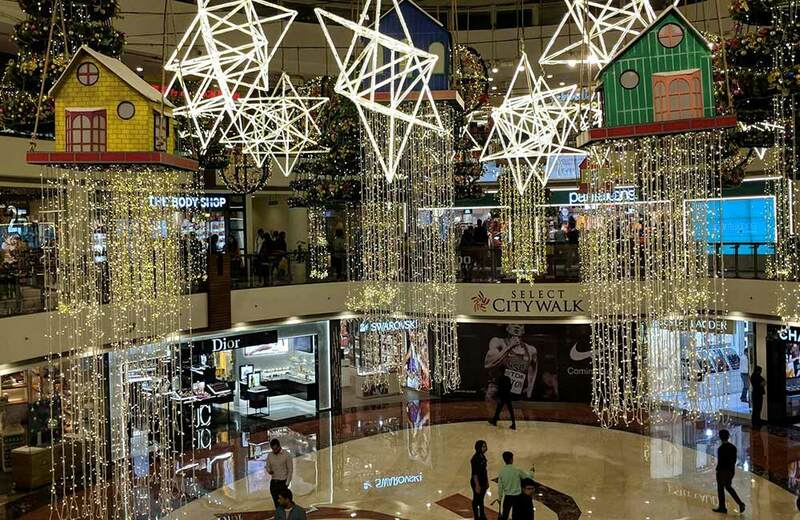 Decorated Christmas trees are a common sight everywhere, from people’s homes to the largest malls in India. The day is celebrated with attending prayer mass at churches, exchanging gifts, and feasting with friends and family. If you want to witness the best of Christmas celebrations, Goa is where you should be. Read our blog on Christmas Celebrations in Goa to know more. As the festival name indicates, Maha Shivratri is celebrated in honor of the Hindu deity, Lord Shiva. This annual event symbolizes the overcoming of ignorance and darkness in life. Maha Shivratri, meaning the Great Night of Shiva, is celebrated across all corners of the country. Unlike most other Hindu festivals, Maha Shivratri does not include cultural revelry. Rather, it involves fasting, meditating, chanting prayers, and worshipping the Shiva Linga. 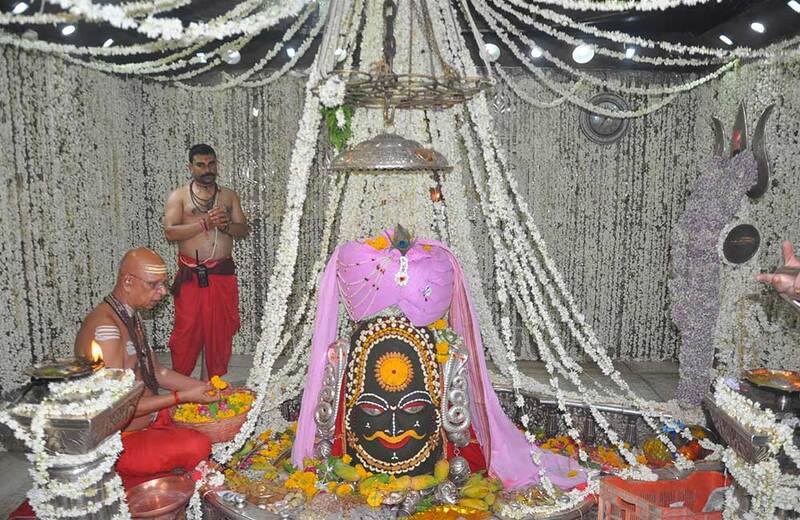 Ardent devotees remain awake all night long and perform pujas as per the traditions. You can witness festivities and ceremonies in the Shiva temples of the country, though. Rakshabandhan or Rakhi cherishes the bond between a brother and a sister. 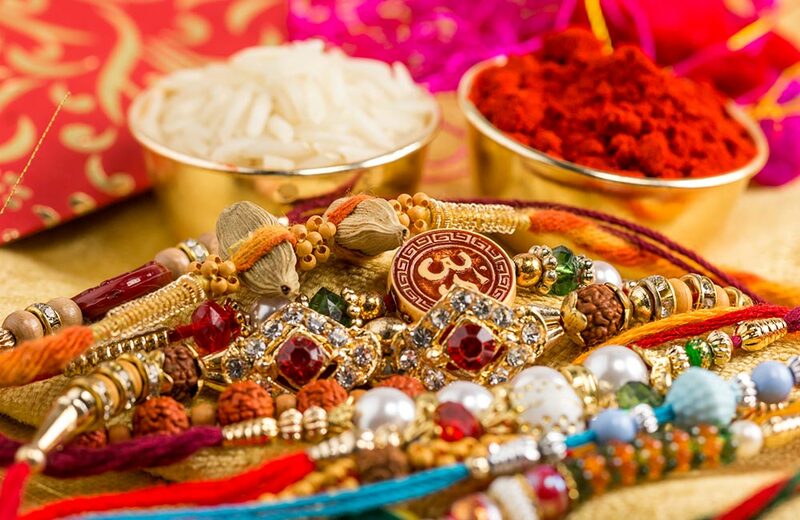 On this popular Hindu festival, sisters tie an amulet or talisman on the wrists of their brothers. The brothers, on their part, give their sisters a gift and a promise to protect them whenever the need arises. The festival holds much significance for brothers and sisters of all ages. It has been shown in countless Bollywood movies as well to highlight the emotional brother-sister bond. By the way, are you a Bollywood fan? You can check out these top Bollywood locations in India. The biggest festival of Kerala, Onam marks the onset of the harvest season. It is also celebrated to remember King Mahabali, whose spirit is believed to visit his people during this time. Onam celebrations include a lot of fanfare and gaiety, including boat races, floral arrangements, worshiping, dancing, and enjoying elaborate feasts with friends and family. 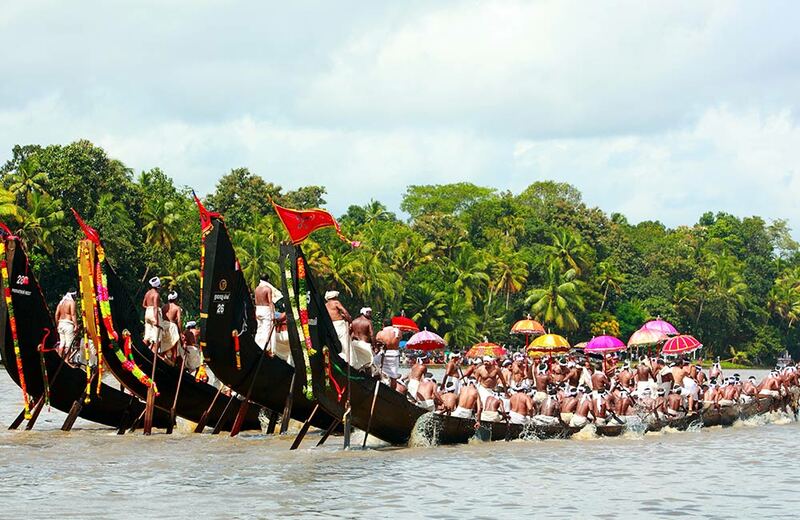 If you are in Kerala during this festival, do not miss out on witnessing the spectacular snake boat race, the elephant procession, and the mesmerizing Kaikottikali dance. Counted among the major festivals of the Sikhs and Punjabi community, Baisakhi celebrates the onset of harvest season for the rabi crops. This harvest festival is celebrated with a lot of enthusiasm and excitement by the people of Punjab and the Punjabi diaspora all over the world. 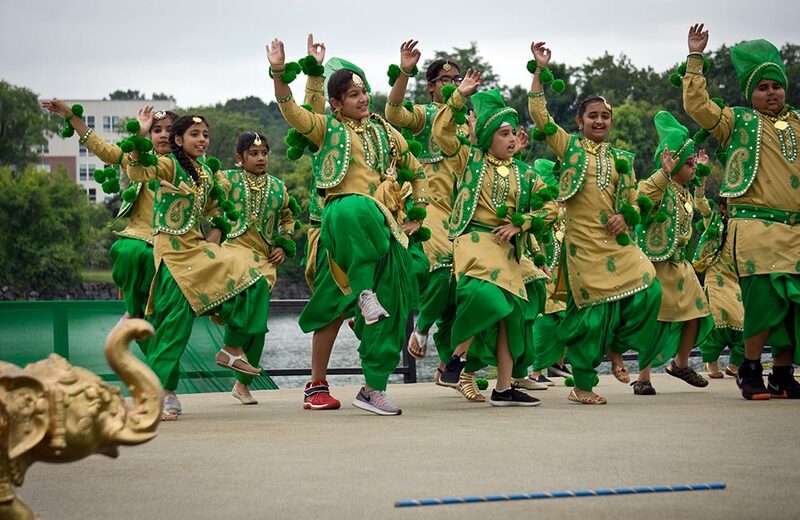 The celebrations are marked by performances of folk dances like Bhangra and Giddha, decorating the houses and gurudwaras, and enjoying lavish feasts. Baisakhi also has a religious aspect to it. It marks the day when Guru Gobind Singh, the tenth Guru of Sikhs, placed the founded the Khalsa order, way back in the year 1699. Another sacred festival for the Sikh community, Gurpurab celebrates the birth of Guru Nanak, the first Sikh Guru. It is also known as Guru Nanak’s Prakash Utsav, Guru Nanak Gurpurab and Guru Nanak Jayanti. People observe this festival by reading the Guru Granth Sahib for two days prior to the festival, and organizing special assemblies on the teaching of the guru and community meals in the gurudwaras. Processions are organized and Karah Prasad is distributed to all, irrespective of caste or religion. 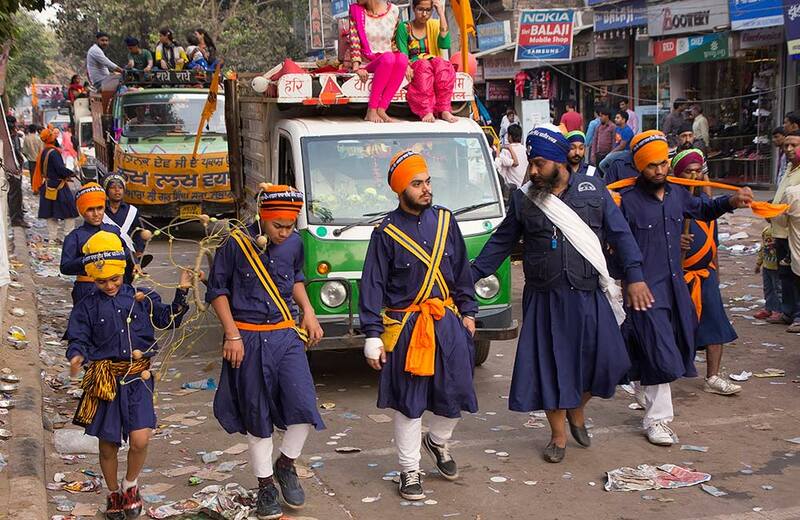 Several observers journey to Gurudwara Nankana Sahib all the way in Pakistan, the birthplace of the deity, to celebrate the occasion. 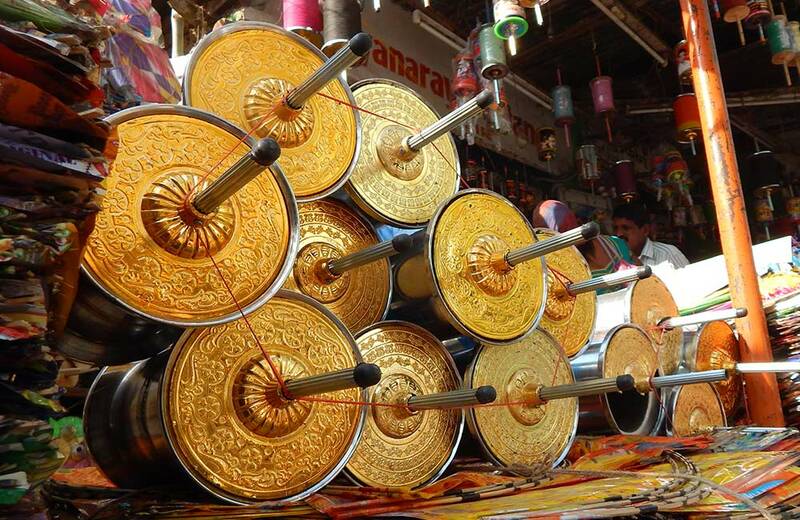 Makar Sankranti is one of those few Indian festivals celebrated based on the solar calendar. It marks the winter solstice and the arrival of longer days with the sun’s transit into the Capricorn constellation. The festival is known and celebrated by different names across in India. For instance, it is celebrated as Maghi in North India, Magh Bihu in Assam, Pedda Panduga in Karnataka and Andhra Pradesh, Thai Pongal in Tamil Nadu, and Sukarat in Central India. Several other states like West Bengal, Uttarakhand, Madhya Pradesh, Maharashtra, Goa, Chhattisgarh, Bihar, Tripura, Odisha, and Uttar Pradesh also celebrate Makar Sankranti. People celebrate the day with various rituals and traditions, like taking a dip in the Ganges, offering water to the Sun God, and flying kites. In a cultural milieu like India, the list of festivals is really long, many of which are observed in only some regions and by certain communities. 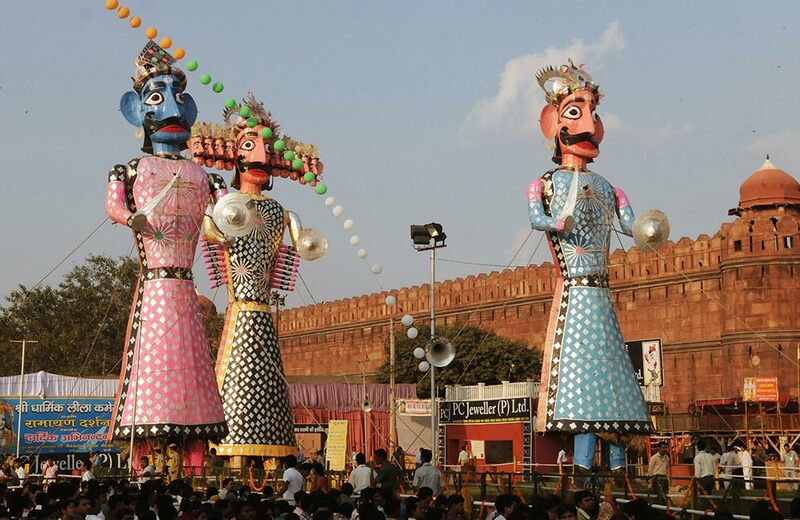 Check out a few of these well-known regional and religious festivals of India. Celebrated with much fervor and joy by the Christian community of India, Easter marks the resurrection of Jesus Christ from the dead. According to the New Testament, Jesus is believed to have risen from the dead on the third day following his crucifixion by the Roman authorities. 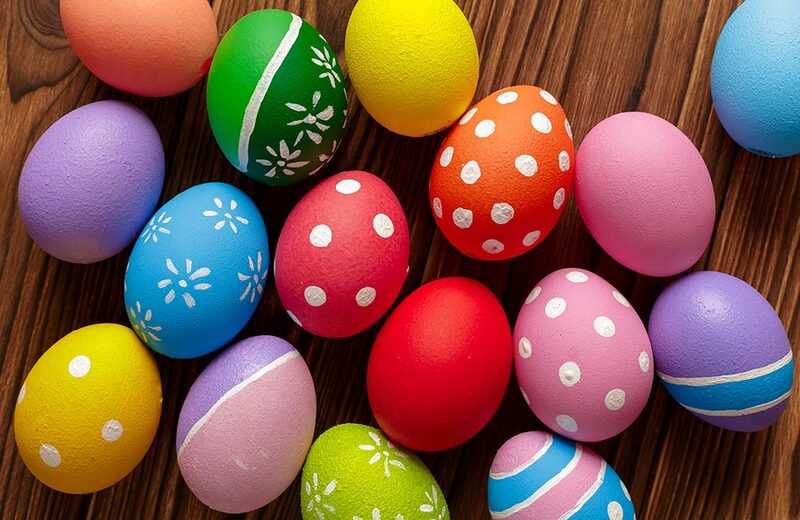 Different Christian denominations in India celebrate this occasion by decorating their homes and streets, decorating Easter eggs, presenting gifts, singing, feasting, and merrymaking. This festival is celebrated across all of India, but the celebrations in Goa, Kerala, and Pondicherry are worth being part of. 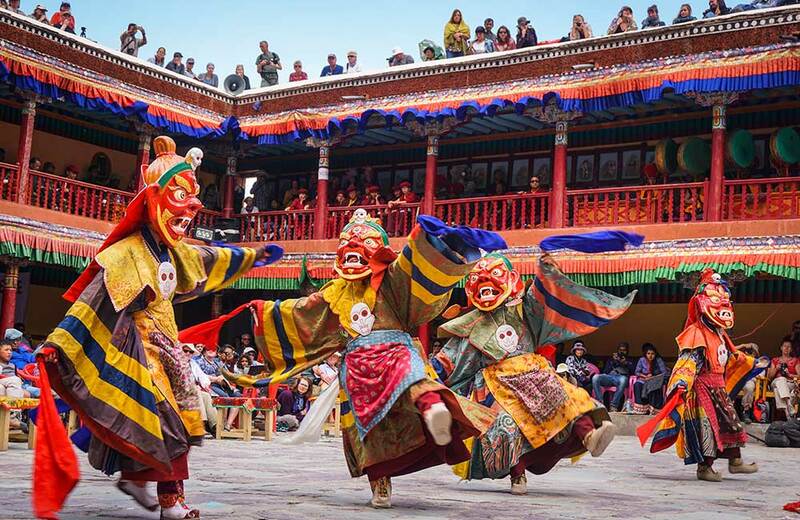 Hemis is a religious festival from Ladakh, celebrated at Hemis Monastery over two days in honor of Lord Padmasambhava, a spiritual leader and founder of Tibet Tantric Buddhism. The festivities include the Cham dance performed by the monks of the monastery to traditional cymbals, small trumpets, and large pan-drums. 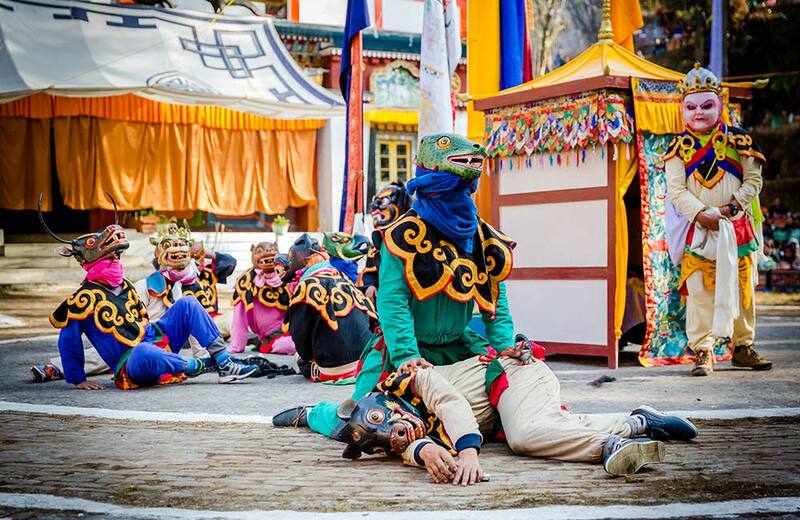 The dancing monks also wear elaborate outfits and masks for the performances. 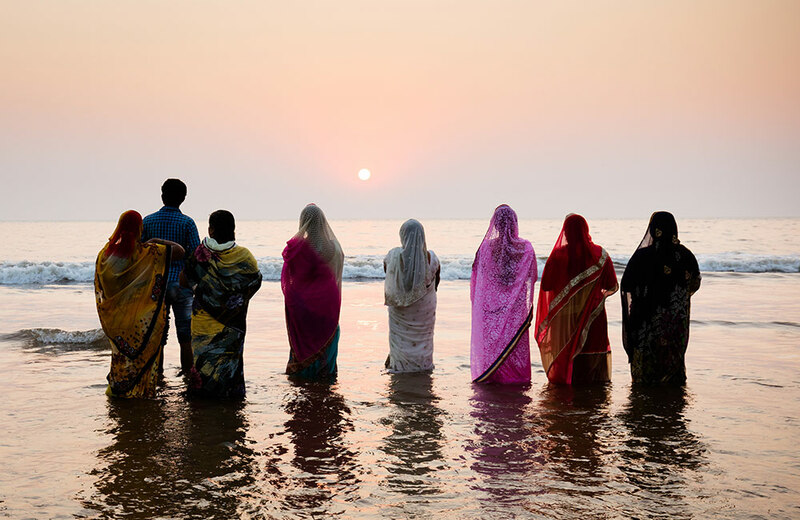 An ancient Hindu festival, Chhath Puja is observed over four days to show reverence to the Sun God and his wife, and seek their blessings for happiness and good health. Fasting, abstaining from drinking water, bathing in rivers, and offering prayers to the sun during sunrise and sunset are integral parts of it. The festival is observed by families, generation after generation, without a break. As per tradition, one can take a break from the observance only if there is a death in the family. Gangaur is a colorful festival, during which the womenfolk of Rajasthan worship Gauri, the wife of Lord Shiva. Gangaur, symbolizing harvest, spring, and marital fidelity, is believed to bring happiness and fulfillment in a married couple’s life. Unmarried women also celebrate this festival and pray for a good life partner. In several places, it is celebrated with processions. In Jaipur, people buy and share ghewar, a sweet snack, with their near and dear ones. Called the ‘Festival of Festivals’, Hornbill Festival offers a fine showcase of the traditions and cultures of Nagaland. 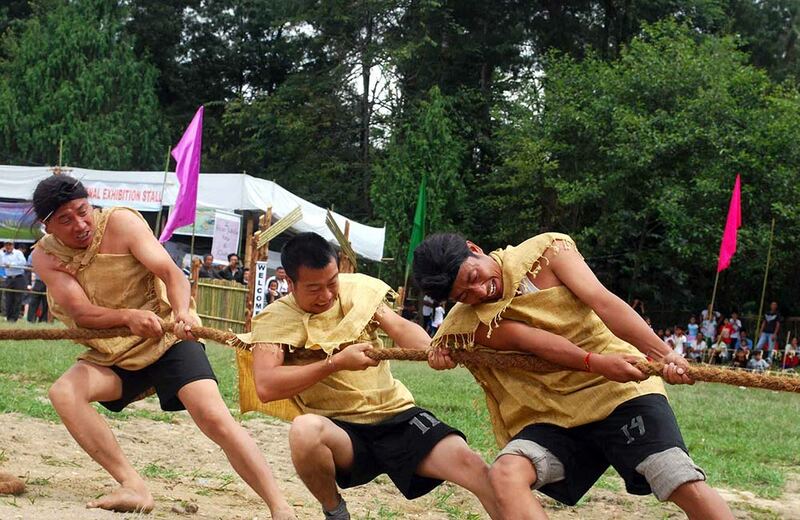 The weeklong festival is celebrated at the Naga Heritage Village, which is around 11 km from the capital city of Kohima. 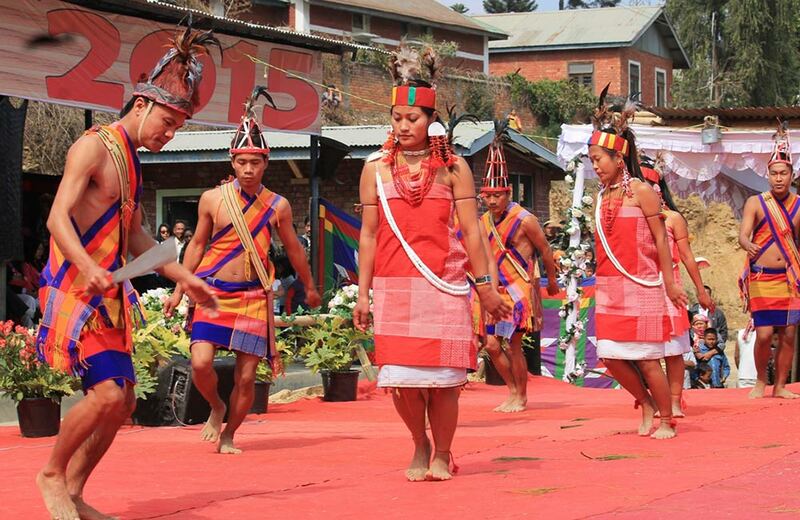 During the festival, you can see colorful performances by the participants, traditional food fairs, art and crafts of the land, games, parades, and religious ceremonies that uphold the beauty of Nagaland in a unique manner. All tribes of the state participate in these celebrations, making it a true extravaganza. One of the major festivals of Sikkim, Saga Dawa is celebrated by the Buddhist population of the state with much fanfare. This religious observance commemorates the enlightenment of Lord Buddha, during which people burn incense sticks and offer water at the monasteries dotting the state. People also chant prayer hymns and turn the prayer wheels during this festival. Dree Festival is celebrated in the scenic Ziro Valley in Arunachal Pradesh in to ensure a good harvest for the state. As per traditions, cucumbers are distributed to everybody as a symbol of good harvest, and prayers are offered to five deities, named Tamu, Metii, Medvr, Mepin, and Danyi, to appease them and seek their blessings. Brewing and drinking local wine and feasting on a variety of local delicacies are the highlights of the festival. The Naga tribes of Manipur celebrate Lui-Ngai-Ni as a seed sowing festival that falls on the 14th or 15th of February every year. During the festival, Manipur Nagas converge at a place to showcase their impressive culture heritage. 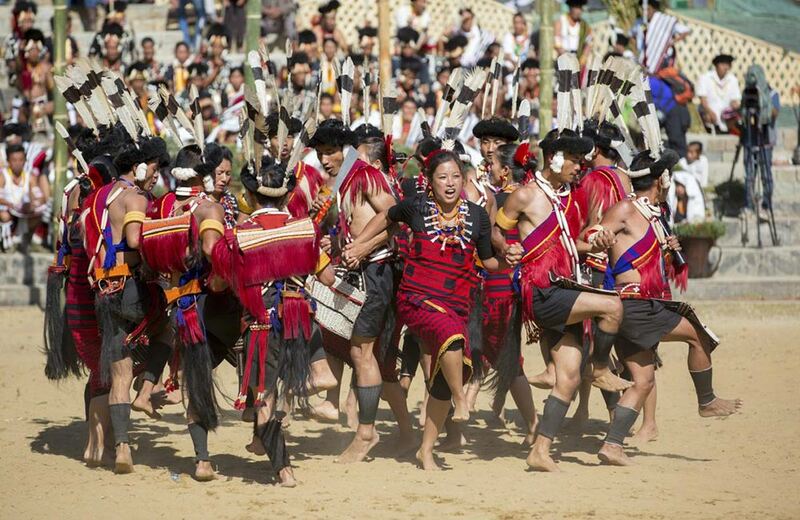 Naga tribes from the neighboring states of Assam and Arunachal Pradesh also take part in the celebrations. It honors and appeases the gods who are believed to determine the fate of the crops sowed on earth. 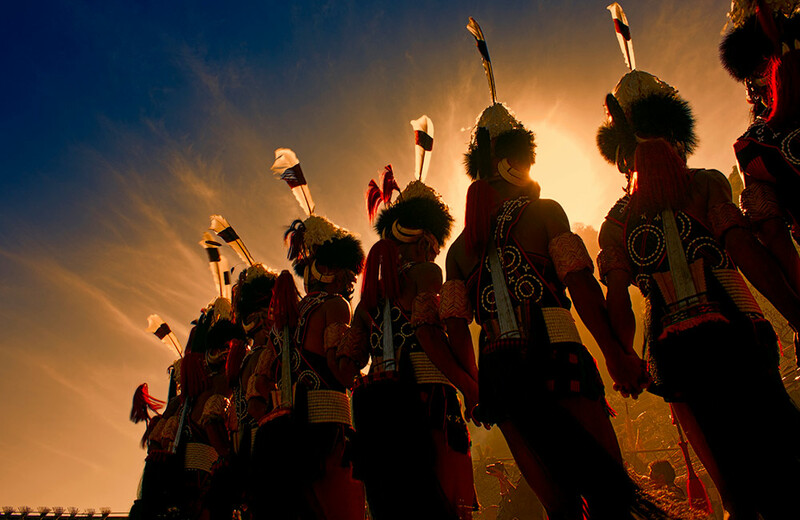 A number of cultural activities, including traditional songs, dances, and drum beating, mark the festivities. Every year, the Ao tribe of Nagaland comes together to celebrate Moatsu Mong to mark the completion of the sowing season. Basically, it is meant to offer some relief to people after the stressful season of sowing, weeding, and other agricultural activities. That’s why it is marked by happy songs and dances. A big fire is lit, around which men and women sit in their best attire, drinking wine, eating meat, and making merry. It is often said that festivals tell you how rich and deep a country’s culture is and true that! Each state in India has its unique cultures, traditions, and beliefs that are revealed through the festivals celebrated there. In other words, each of these is a mirror, in which you see reflections of a place and its people, clearly and unmistakably. Apart from those mentioned above, Eid-ul-Zuha, Eid-ul-Milad, Ram Navami, Lohri, Muharram, Karwa Chauth, Losar, Good Friday, Bhai Duj and Teej are also celebrated across the country.